Even in a world with more dental health products designed to preserve our smile than ever before, tooth loss is a very real problem. Our teeth work hard during our lifetime and are exposed to bacteria and the threat of decay and disease on a daily basis. Cleaning them every day by brushing and flossing is drummed into us from childhood, and mouthwashes and regular visits to your dentist further support our dental health. Nevertheless, the majority of adult Americans will have lost at least one permanent adult tooth by the time they reach their mid-thirties. By age 50, the average U.S. citizen could have lost as many as 12 of them. Unfortunately, tooth loss is something that can have a serious impact on our confidence and wellbeing, as well as our ability to use our teeth properly. If you have been told that you need a dental extraction, or you have already lost at least one tooth, you may be considering dental implants. Alternatively, you may already have had a previous device such as a bridge and be looking for a more reliable, standalone solution that does not put pressure on surrounding teeth. Dental implants are artificial and as such, cannot get cavities like a normal tooth. However, they can be affected by gum disease. Also known as periodontal disease and periodontitis, gum disease that progresses to moderate to severe stages can actually put your implants at risk. This is because patients with advanced periodontitis can suffer from jaw bone deterioration that causes implant posts to come loose. Brush your teeth every day and do it well! Brushing is the single most important thing that you can do to help protect your natural teeth and preserve your implants. Doing so will remove the food debris that interacts with the natural bacteria in your mouth, and this will stop accumulation of plaque on your teeth that can eventually cause gum disease. Use a soft-bristled brush and a fluoride toothpaste. Brush at least twice each day for at least two minutes each time. No, we aren’t talking about the latest dance craze! Good old-fashioned dental flossing is essential if you want to keep gum disease at bay. The floss gets in the little gaps between your teeth that a toothbrush can’t reach, removing food particles that could later lead to decay and periodontal disease. Smoking is bad for your general health, but it is also very bad news for your teeth. Nicotine stains your natural teeth and can also discolour your implants, ruining their naturally attractive appearance. Smokers have also shown to have a significantly greater chance of developing gum disease. There are various reasons for this including nicotine causing the mouth to become dryer, and a lack of oxygenated blood flowing to the gums. By giving up smoking, your health and your dental implants will benefit. Most patients require a check-up with their dentist at least once a year, with some patients being asked to return every 6 months. 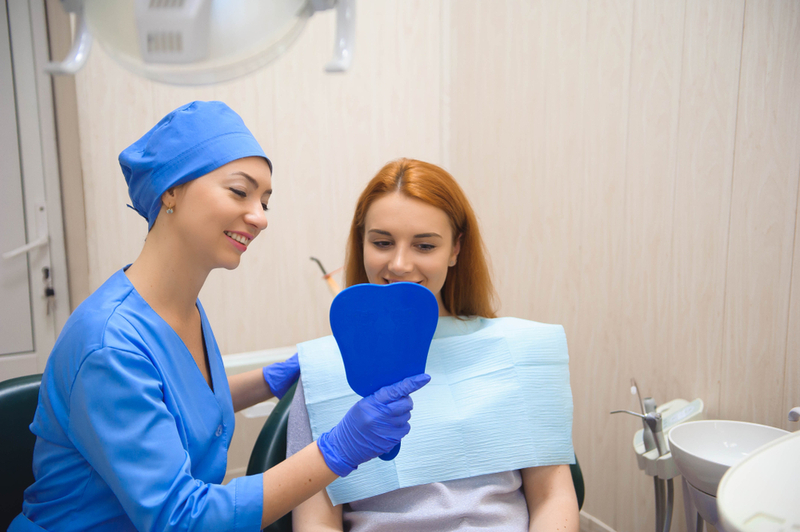 Your dentist has had specific education and training in spotting potential dental problems, including gum disease, early and before they can cause serious damage to your oral health. Don’t put off your dental appointments. They will help to ensure that your new implants look and feel great for years to come. For more advice on the best way to look after your dental implants, please contact us and make an appointment at our offices.